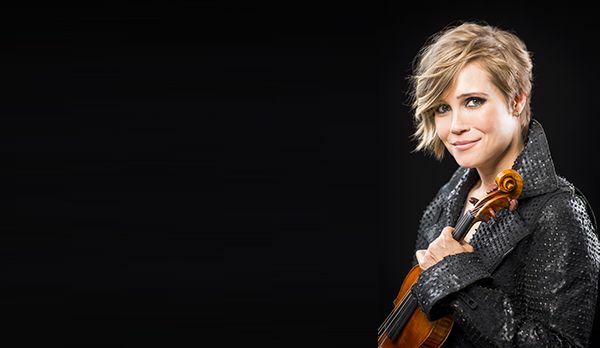 Mimir Chamber Music Festival is thrilled to present Leila Josefowicz, internationally renowned concert violinist, recording artist and Grammy Award nominee in its 2018 season, July 2-8, 2018. Josefowicz, known for her passionate and electrifying performances, will perform opening night only with fellow Grammy Award nominee John Novacek, her longtime and critically acclaimed musical collaborator. Novacek, a familiar face at Mimir, will join a lineup of outstanding musicians from the world's leading orchestras, music schools and concert halls during the Festival's 21st season. 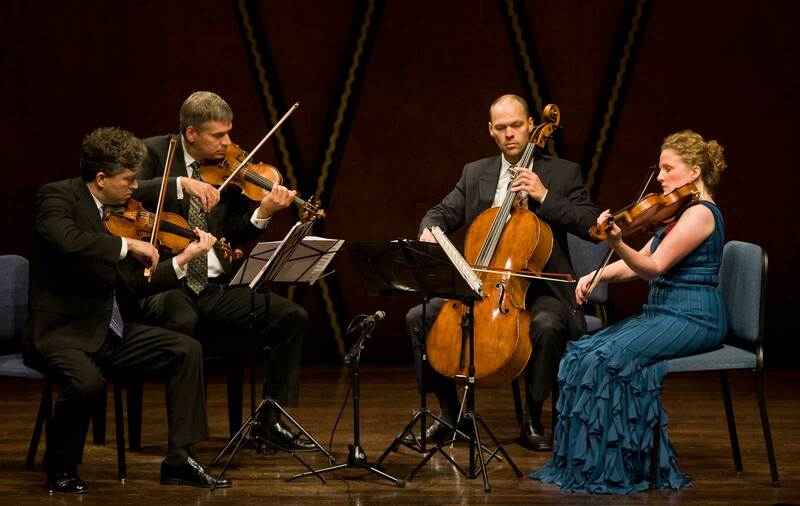 Performances will be held at PepsiCo Recital Hall on the campus of Texas Christian University, with a matinee concert at the Kimbell Art Museum's Renzo Piano Pavilion.  Nationally recognized as a leading summer music series and teaching workshop, Mimir presents an intensive week-long immersion in chamber music performance and instruction by some of North America's most renowned professional musicians. Mimir Artists are selected not only for their superb performance skills, but also for their ability to teach three pre-formed groups who have been selected by international audition for participation. Four unique, exciting and provocative musical performances will be given during the festival by the professional musicians, with two concerts presented by Mimir Emerging Artists. Mimir Artists Concerts are: July 3, July 5, July 7 and July 8. All concerts are held at TCU's PepsiCo Recital Hall at 7:30 p.m., except for the July 8 performance, which will be 2:00 p.m. at the Kimbell’s Renzo Piano Pavilion. Ticket information will be available shortly. Alessio Bax (piano) has performed with more than 100 orchestras worldwide, including the London and Royal Philharmonic orchestras, the City of Birmingham, Dallas and Cincinnati symphonies and the St. Petersburg Philharmonic with Yuri Temirkanov. He is a First Prize winner of the Leeds International Pianoforte Competition and an Avery Fisher Career Grant recipient. He has recorded on Warner Classics and Signum Records. Mr. Bax is currently on the teaching faculty of Southern Methodist University in Dallas. Lucille Chung (piano), is a First Prize winner of the Stravinsky International Piano Competition. Chung has performed in more than 30 countries as recitalist and as soloist with many of the world’s most prestigious orchestras including the Philadelphia Orchestra, Moscow Virtuosi and the BBC National Orchestra of Wales. Ms. Chung opened the 2017-2018 season of the Chamber Music Society of Lincoln Center with husband, and pianist, Alessio Bax. Laura Frautschi (violin) is making her Mimir debut. She is Artistic Director and member of the Grammy award-winning Orpheus Chamber Orchestra in New York. In addition, she is concertmaster of the New York City Opera Orchestra. She regularly performs as a soloist and chamber musician throughout the United States and Asia, and collaborates frequently with living composers. Ms. Frautschi studied violin performance with Robert Mann at The Juilliard School. Joan DerHovsepian (viola) is Associate Principal Viola of the Houston Symphony Orchestra, and is an Artist Teacher of Viola at Rice University's Shepherd School of Music. She spends her summers in Wyoming performing with the Grand Teton Music Festival and in Wisconsin as Principal Viola of the Peninsula Music Festival. Leila Josefowicz (violin) is making her Mimir debut. She is an internationally renowned concert violinist and recording artist, MacArthur Fellowship recipient, and Grammy Award nominee. A passionate advocate of contemporary music for the violin, she has had violin concertos written especially for her by such revered composers as John Adams and Esa-Pekka Salonen. Ms. Josefowicz performs regularly as soloist with top orchestras and conductors worldwide, and in 2018 alone she has appeared with the Boston Symphony, National Symphony, Los Angeles Philharmonic, Finnish Radio Symphony and Royal Concertgebouw Orchestra. With longtime collaborator, pianist John Novacek, she has performed recitals in Reykjavik, Leeds, Chicago, San Francisco, Santa Barbara and Halifax. Brant Taylor (cello) is a member of the Chicago Symphony, and has appeared as a guest soloist with orchestras and music festivals throughout North America, Europe, Australia and Asia. He holds degrees from the Eastman School of Music and Indiana University School of Music and serves on the faculty of the DePaul University School of Music. He is a former member of the popular band Pink Martini. Curt Thompson (violin) is the founding director of Mimir and was appointed Head of Strings at the Melbourne Conservatorium of Music in 2012. Previously, he was associate professor of violin at the TCU School of Music. Thompson has performed as soloist, recitalist and chamber musician on five continents, and is the former concertmaster of the Corpus Christi, Las Colinas and San Angelo Symphonies, the Texas Chamber Orchestra, and has appeared as concertmaster of the Melbourne Symphony and Fort Worth Symphony orchestras.